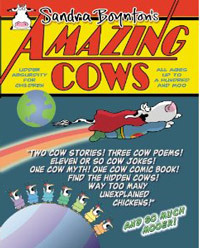 Honestly, I thought it was impossible to see cows every single day, so I decided to do some fact-checking for myself. So I tracked my cow sightings every day for over a year (from 2012 to 2013) and documented them on this blog. 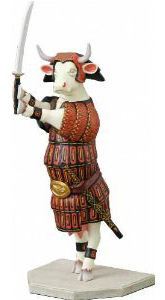 After a year, I had to admit that the daily cow sighting theory is indeed true! It even seems to be valid in other countries, not just the US (take a look at Every day I see a cow… the French edition). Cows have even entered the Christmas tradition, including as tree ornaments and lawn decorations. Don’t believe me? The proof is in the pudding, well, picture. 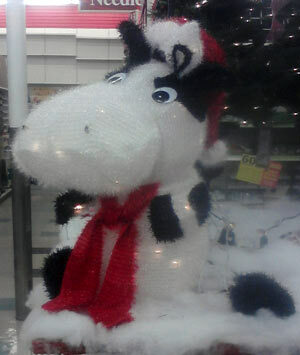 A few years I found this Christmas cow lawn decoration at Michael’s on clearance after Christmas. And I managed to buy a cow tree ornament a few years later. Once I was able to prove that the daily cow theory was indeed very plausible, I stopped updating The Cow Daily, but I’ve been missing it a lot, especially as I continue to see cows on a daily basis. So I thought it was time to bring it back, six years after it all started. Time to share more cows! I hope you enjoy the daily hay ride finding cows around you.